The Acoustic Research Reference 150. 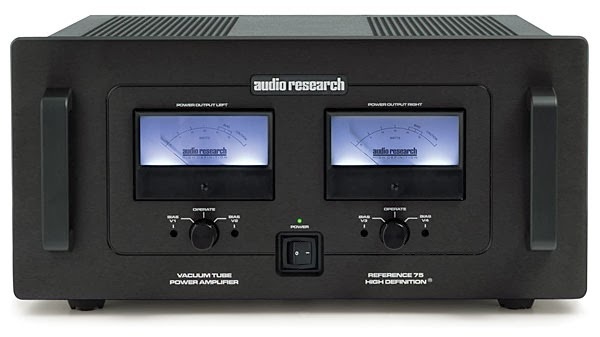 The Reference 150 output is 150Wpc into 8 ohms. 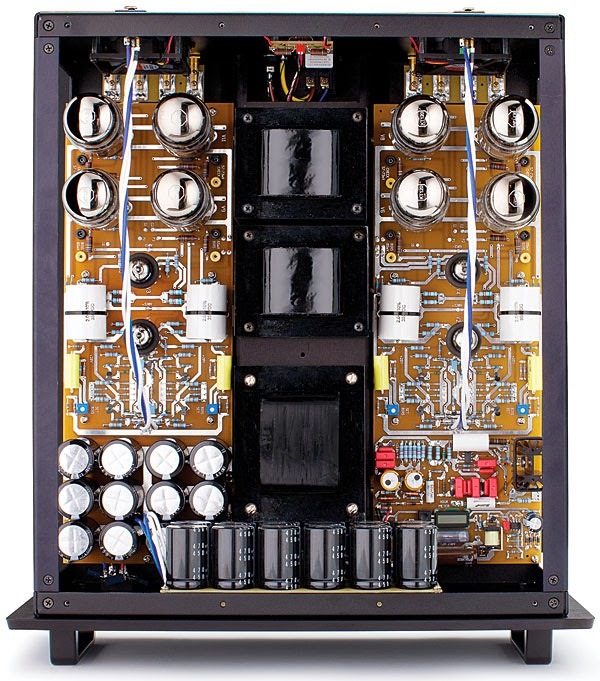 The power output stage consist of eight KT120 output tubes in matched pairs, each pair driven by a 6H30 driver. The output-stage coupling is the familiar ultralinear configuration topology.The sound this monster can produce is sweet, silky, and effortless. This is not cheap at 13,000 USD, but it's worth every cent if you love music. The sound puts any solid-state amp to shame. The internal photo shows the engineering talent to full effect: A tightly regulated massive power supply, with a total of 24 B+ power supply caps and top quality components throughout. The symmetrical layout adds to the stereo separation, and the left and right channel are separated by the output and power transformers that are laid out right down the middle. This increases the overall sense of depth and space. If you have thought that an amplifier could not make much of a difference, be prepared to be amazed.